Everyone wants to take their fitness to the next level. It leads to a healthier lifestyle, more energy, and looking great. 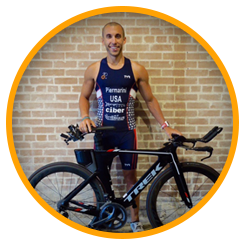 Our fitness coach at Performance is Personal in Dallas, Texas, moves you to improve critical aspects of your mind and body. We offer one-on-one coaching with the understanding that each individual is different. Whether you want to get and stay healthy or become the best at a specific sport, every workout schedule is tailored to fit your objectives for seeing results sooner. The one fault we see all the time is people trying to make a new routine, but then slipping out of it. Don’t fall into this trap again. With our personal training, you receive the discipline and accountability that keeps you on target. We develop concrete goals with you and establish progress markers to assist your improvement. Establish some new goals and start seeing positive changes today. We focus on the mind and body, because both are needed for true advancement. Other trainers try to tell you it’s all physical, but that’s just not true. By partnering with our fitness coach, your mental barriers and life’s daily interruptions begin to fade away, leaving only a more active life. Clients always tell us how much better they feel after following our workout plans. Gym time and playing with talented teammates go a long way in improving your athletic abilities, but to become truly great you need on-site field observation by an experienced trainer. That’s why our private strength conditioning includes attending your sports events for first-hand assessments. We provide interactive feedback sessions to help up your game.